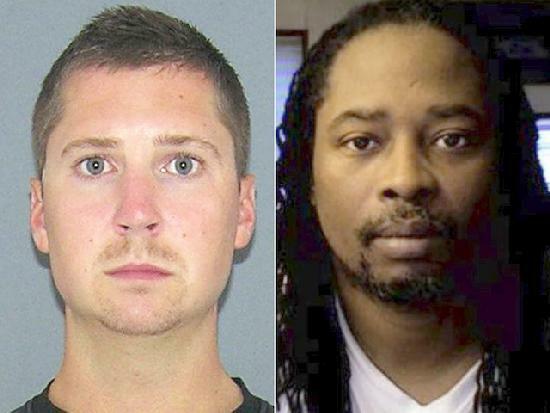 (Via The Guardian) – Police officers in Cincinnati appear to have corroborated a false account of the fatal shooting of Samuel DuBose in the immediate aftermath of the incident, a detailed analysis of body-camera video released on Wednesday shows. DuBose, an unarmed 43-year-old black man, was shot dead by white University of Cincinnati police officer Ray Tensing on 19 July. The officer claimed he was “dragged” by DuBose’s vehicle following an altercation during a routine traffic stop, and was therefore forced to open fire, shooting DuBose once in the head. On Wednesday, Tensing was indicted for murder after Hamilton County prosecutor Joseph Deters said body-camera footage, which he released at a press conference announcing the charge, showed the officer was not dragged during the encounter. “It is our belief that he was not dragged. If you slow down this tape you see what happens, it is a very short period of time from when the car starts rolling to when a gun is out and he’s shot in the head,” Deters told reporters on Wednesday.